1 September, Westkapelle, Veere, Zeeland, adult, wearing colour-ring, photographed (P A Wolf). The adult (with yellow ring with inscription C83K on its left leg) had been ringed as a pullus near Mustasaari, Finland, on 21 July 1996. The fourth calendar-year (with black ring with white inscription J781 on its left leg) had been ringed as a pullus in Somna, Nordland, Norway, on 27 July 2006. 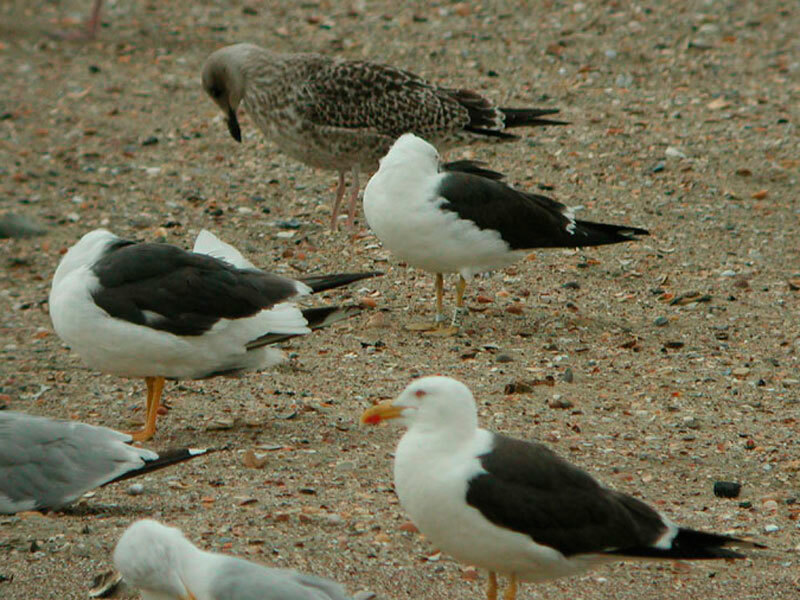 Only birds ringed at a nest in a 'pure' Baltic Gull colony are currently considered acceptable but this may change when the CDNA decides to follow the recommendations by Altenburg et al (2011), who argue that unringed second calendar-year individuals meeting a strict set of criteria based on plumage and moult are safely identifiable in the field. Annual Report 2010.